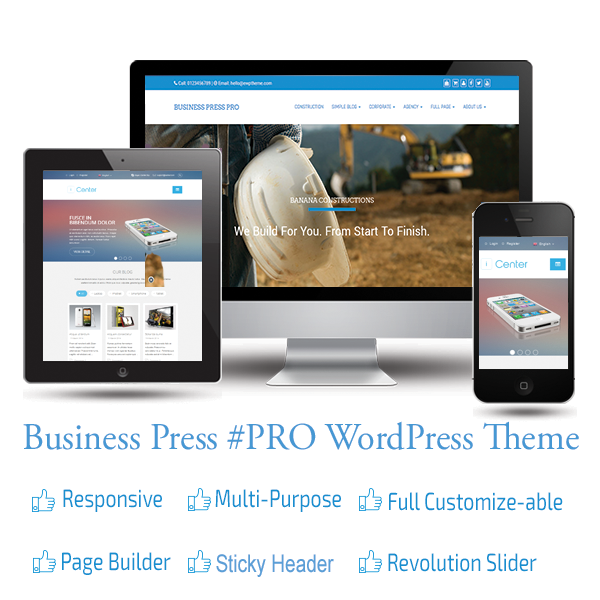 You can visit SEOPress free theme demo here. 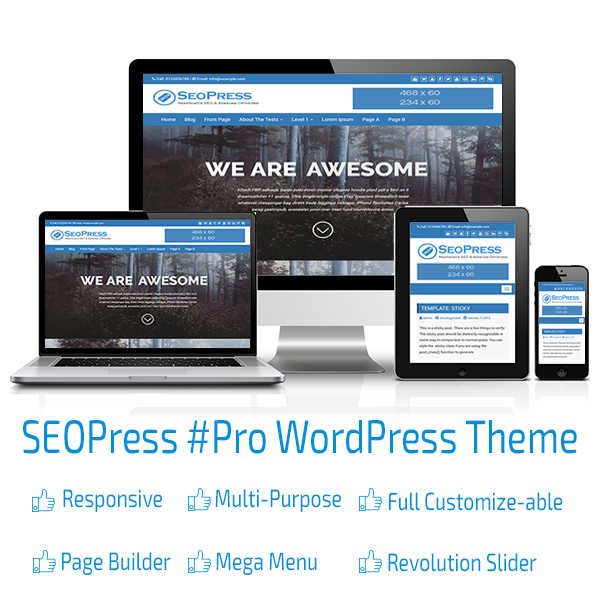 “SEOPress” theme installation is easy and same as you did before. Please follow: WordPress Admin > Appearance > Themes > Add New. Here search for “SEOPress”, install it and activate it. After activation, this theme will add a notice in top side to install recommended plugins. You can install and activate them according your requirement. “Regenerate Thumbnails”: To regenerate images for theme and plugins requirements. “Contact Form 7”: To add contact form and other form to collect information via email. “Page Builder by SiteOrigin” and “SiteOrigin Widgets Bundle”: For design pages using page builder. You will see notification / update available info here: “WordPress Admin > Dashboard > Updates”. Just follow simple instruction to update theme. For Core and Global theme Options, please follow: WordPress Admin > Appearance > Customize. For page options, please follow: WordPress Admin > Pages > All Pages > Add New / Edit. Here you will find “SEOPress Options for this page” section. These options will apply on individual page. To select correct page template, please follow: WordPress Admin > Pages > All Pages > Add New / Edit. Here you will find “Page Attribute” section to choose correct page “Template”. First of all, make sure “Page Builder by SiteOrigin” and “SiteOrigin Widgets Bundle” both plugins are installed and activated. Now you are ready to import prebuilt template. Please follow: WordPress Admin > Pages > Add New. Here click on “Page Builder” tab. It will display just above WordPress editor. By default, you will see “Visual” but we have to choose “Page Builder”. Now click on “Prebuilt layout”. Here you will see “Layouts Directory”. Just choose a template and click on insert button. Now you will see 3 options “Replace Current”, “Insert after”, “Insert before”. If you will choose “Replace Current”, it will replace contains if there is any on this page. If you want to add this layout before or after the page contains, you can choose respective option. For a new page, “Replace Current” will be best option. Just choose it and click again for “sure”. It will automatically add all columns, rows and demo contains. Now you can update them according your requirements. You can also add more contains easily. We will recommend to learn the working of page builder. It will help to put any type of contains anywhere. Now we also need to choose correct page “template” under “Page Attribute” section. We will recommend to choose “Full Width for Page Builder” because we used page builder to design a full width page. We can also check “hide page title/headline” to hide page title under “SEOPress Options for this page” section. It will hide page title and it will look better. Now simply you can publish it or save Draft. SEOPress theme has advance / dynamic footer widget option. By default, it does not display footer widgets. But we can add from 1 to 4 areas for widget in footer using theme options. To add footer widget areas, please follow: WordPress Admin > Appearance > Customize > SEOPress options > Footer Options. Here you will see 0 selected. You can move slider form 0 to 3 to add 3 widget areas in footer. Now save this setting and go to: WordPress Admin > Appearance > Widgets. Here you will see assigned 3 widget areas. Just pick and drop any widget and it will work. You can manage menu and menu location here: WordPress Admin > Appearance > Menus. NOTE: All WordPress core features are same like Menu, Pages, Posts, Settings ETC.